I admit - even though I'm reading this book more than a month ahead of the publication date, I was massively afraid of being let down by the hype. This book has an incredible amount of hype surrounding it, and it's scary when that is the case. I actually got a copy of the book months ago, for review, but I've been pushing it off because of, well, the hype. This book has gotten overwhelmingly positive reviews, and when that happens, I get scared. Thankfully, I had nothing to be scared of. This book was nowhere near disappointing or over-hyped. For anyone in a similar situation as me (feeling discouraged because of the ridiculous amount of hype), know that the hype is one hundred percent worth it. This book deserves the insane marketing plan and campaign behind it, because it. Is. Amazing. Scarlett and her younger sister Tella have lived their entire lives on the Conquered Isles, under their father's tyrannical keeping. Their father has arranged a secretive marriage for Scarlett, which is coming up soon. But something surprising happens - Scarlett is sent an invitation with three tickets to Caraval. Scarlett has written letters to Legend, the organizer of Caraval for years, and he has finally invited her, her sister, and a third guest. Getting off the island and to the island hosing Caraval is one obstacle; navigating Caraval is another. When Tella goes missing before Caraval even begins, Scarlett knows something else is afoot. She must play the game in hopes of finding her sister, who has been captured. The game is not as fantastical as one thinks - it is a game of life and death. I can definitely see why people would compare this book to The Night Circus - a book I absolutely loved. Both have a magical, mesmerizing quality to them. 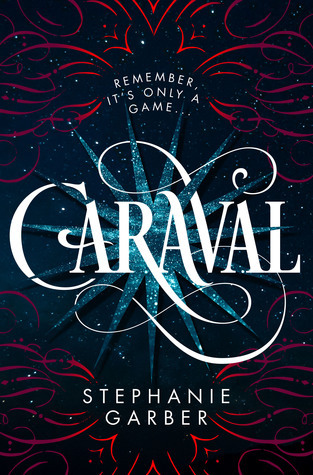 But while The Night Circus was geared towards general fiction audiences, Caraval seems to be marketed as Young Adult (and rightfully so). 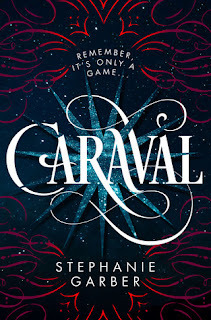 Caraval, to me, was even more exciting and breathtaking, though I think the originality and the world-building of The Night Circus made it wholly unique. But the entrancing quality of Caraval made Caraval its own beast - and by beast, I mean sensation. Scarlett is seventeen and only a year older than her troublesome, mischievous, impulsive sister. Scarlett is much more cautious and selfless. I adored Scarlett from the start; her devotion to her sister is inspiring and humbling. Throughout the entire book, Scarlett never stops looking for Tella. She never stops fighting and hoping. That being said, I love seeing Scarlett grow, as the story progresses. She doesn't really realize just how strong she is, in the beginning of the story. Years of her father beating her and breaking her have made her very strong and capable. She seems docile and soft, but the game of Caraval really makes her spine and her nerve show. I wouldn't say that Scarlett is a sworld-wielding kickbutt warrior that we see so often in YA fantasy; but she is resilient and very intelligent, quietly strong with an iron core. She is vulnerable and yet so tough. I love the bond between the sisters. A sister bond is something we see every now and then in YA books, but such a bond that dictates and dominates the story? Very rare. I really felt how much Scarlett loved her sister. Tella... well, we don't see a ton of Tella in the story. But Scarlett definitely loves Tella more than Tella loves Scarlett, and Scarlett is more ready to give up everything for Tella. Still, the bond between the girls is very strong. I love seeing this representation of sisterhood. I hated how their father hurt them, and how his abuse shaped them and forced them to make difficult decisions. But the abuse made them stronger as human beings, and as sisters. This aspect of the book was heartbreaking, but it was uplifting to see Scarlett find her strength. Julian is the third ticket-holder of the story, and in my book, a very important primary character. The story is told entirely from Scarlett's first-person POV, but I would argue to say that Julian is just as important as Scarlett. He comes across as a pirate and a scoundrel, being as charming and as flirtatious as he is. But we come to find out that he isn't a scoundrel - he's actually a kind and noble young man who really wants to help Scarlett. He is clever and wicked and full of secrets. I loved him from the start, though we meet him in a weird situation, at first. Don't read too much into that situation! You'll see what I mean, as you read on. It's not what you think! As for the romance - I honestly didn't expect Scarlett and Julian to develop feelings for each other - not at first! I mean, after the second or third interaction between the pair, yes, but not after the initial interaction. Julian and Scarlett are such a good match; Julian pushes Scarlett, and he's a steady presence (though a wickedly charming one, at that). Scarlett worries a lot and Julian being there for her was so sweet (and hilarious sometimes). Their interactions were wonderful and heart-warming, and I honestly wish there were more. I loved watching them fall for each other, especially Scarlett. She tries to deny and push away those feelings, but they grow. It's a slow-burn, swoony and seductive romance! And there is no love triangle. N o o o o love triangle. No insta-love either, for that matter. I love how the relationship develops! They begin to trust each other (though again, Julian is full of secrets), and then it's clear that they are falling for each other. While it was a slowly developing romance, it was so subtly swoony. And not an overwhelming romance in the story (for better or for worse). Once the first fifty pages or so passed, I was utterly hooked. It's around the fifty-page mark or so that Julian and Scarlett enter Caraval, and that's where things get really interesting. I'm so pleased with how engrossing the story is! It gets twisted and surprising as the book goes on. Every time you think you have something figured out, the story goes in another direction, even if it's a slight change. I feel like this goes without saying, but I was fascinated by the world of Caraval. Stephanie Garber really gets the world-building right, and complete. I never felt lost in the history of the game, or in the setting itself. I could lose myself in Caraval, that's for sure! It's a twisted place, and Garber crafts and structures it extremely well. Her writing is also very sweeping, in general! The ending is definitely not the ending of a standalone! Not that this is a standalone - I believe there will be one sequel. (The original book deal is for a two-book series, but you never know.) While I like the ending (it's shocking, a tiny bit sad, but very satisfying), I'm excited to see where the story will go next. The ending isn't quite a cliffhanger, but it left me wanting. I need more! Nothing specific I can think of! I hope the next book continues to follow Scarlett - though I have a feeling it will follow Tella as well. But I want more of Scarlett, Julian, and Scarlett & Julian (if you know what I mean)! I hiiighly recommend this book! Yes, it's incredibly hyped and there are so many positive reviews and fangirling and squealing. But all of that is completely justified. I can definitely see the appeal, and the book appeals to me as well. This seductive debut is sure to bring you to the edge of your seat! 4.5 stars. I'm a little undecided as to if I want to round up or down, so for now I'll round down. I'm not too nervous about book two - in fact I am extremely excited and slightly bummed that it's going to be a loooong time before I can get my hands on book two. But that will give me plenty of time to reread Caraval and push it on others! Let the world of Caraval sweep you away! OOoh nice! Been hearing soooooo much buzz over this one and admit to having some hesitancy over it too. I had no idea what it was about early on, but about a month or so ago I was finally seeing some concrete details and became intrigued! So cannot wait to read it now! Glad to hear it's as amazing as everyone has been saying before it was even out! LOL! Great review! It really lives up to the hype, Jessica! Sometimes the best thing you can do is avoid the synopsis and the hype and try to go in blind - which is what I did (well, in terms of not reading the synopsis). I hope you love this book, Jessica! This book has been preordered for me! I'm so happy the hype isn't just hype. Thanks for the review! Woohoo! It's a good one to preorder! Make sure you claim the preorder goodies, Danielle. Thank you! YES! It definitely is! Sometimes hype kills excitement... not in this case. 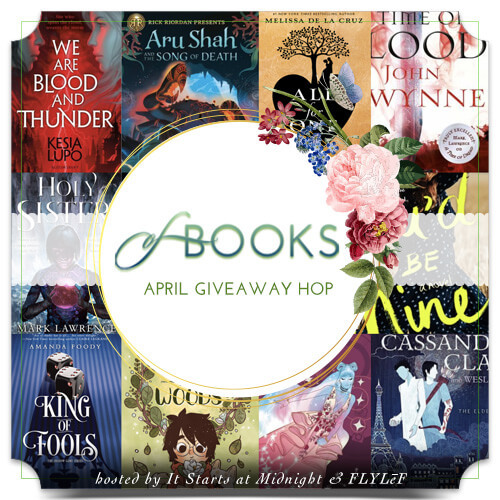 If you end up preordering this book, make sure you submit your receipt and claim the preorder goodies! I rarely preorder books, but this is one that I really want to read. I usually stray from hyped books, but I love the sound of this one. I really hope that I enjoy it. Great review! I know exactly what you mean, Lekeisha. This one won't disappoint, I'm sure. If you preorder it, be sure to claim the preorder goodies! Ohh, I'm so happy that you enjoyed this book! I've been so looking forward to it and I've definitely been nervous about the hype, as well. I'm glad to hear there's nothing to worry about. I'm so excited about the world building, too. I'm glad it's so well done! Just dive right in and get swept away! The first few chapters were a tiny bit slow, but then things started to get real, and quickly. I hope you love it, Ashtyn! I want to read this one so bad! We got a copy at the bookstore, but my manager took it. :-( She said she was going to be done reading it by Saturday, but she wasn't. I'm kinda hoping to go in and she'll be done with it tomorrow. If not, I do have an e-galley. Great review! I'm so much more excited for this now! I get that way about books that I've formed high expectations about and I want to read, but don't want to read them. Glad this one lived up to expectation. That is neat that the sister bond is a strong element. This one lived up to all of the hype, and then some! I went in a little blind (I knew about the hype but didn't know much about the book specifically), and I thought the book was so magical. The sister bond was great, and so important! Okay, I definitely am one of those like you but I am definitely excited now to pick this up. And I think it will be totally new to me b/c I never read The Night Circus ;) Awesome review!!! Oooo! After you read this one (or before, whichever), definitely try The Night Circus! It's a little more dense, but so good. Thank you, Kristin! RIGHT?! Hype can kill a book really quickly. I think it might actually be a companion series! I'm not sure though. Binge-reading the series is not a bad idea at all, Sue. :D I hope you enjoy the series when you get a chance to read the books! I REALLY CAN´T WAIT TO GET MY COPY!!! 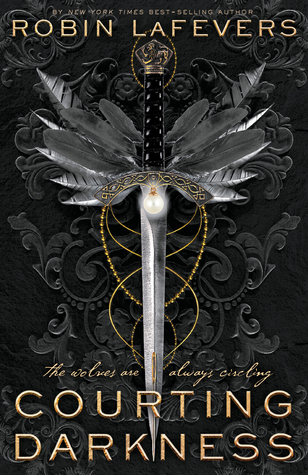 I LOVED EVERYTHING ABOUT THIS BOOK, THE COVER, THE SYNOPSIS <3<3<3 GREAT REVIEW!! I'm so glad that you loved this one. I try not to listen to hype too much when it comes to books, but that's great this lived up to it for you. It sounds really good, and I LOVE sister or sibling bonds in books. I know exactly how you feel! Usually I try and read a book before the hype, as much as possible. ;D This one was great nonetheless! This book sounds excellent! I can't wait to read it. I love the sister bond idea you don't see that to much and I enjoy the idea of loyalty! I also like that a romance does unexpectedly develop! I'm also so glad you enjoyed the romance in this one, even though it wasn't first and foremost in the plot. I think book two is going to be told from Tella's POV! I'd rather Scarlett's, but Tella's POV should be interesting. Hopefully there will be plenty of Scarlett/Julian cameos. You really need to read The Night Circus! It's different from this book, but an absolute masterpiece. Ohhh... I'm kind of hoping for multiple POVs as I don't want to lose Scarlett's POV... Although I'm sure Garber can make it work either way! Noooooo, no love triangle! Nothing triangular at all, believe me. Whatever you're thinking, it didn't happen! I hope you love this book, Carina! Wow.. this book was amazing! All the twists and turns.. I was quite surprised and could not put it down. I still want to understand how the game is played and who are the players and who is Legend? Oh so many more questions that need to be answered! Spot on review Alyssa and yes I do agree that it has similar themes as The Night Circus which I also enjoyed. Looks like Tella will get her own story next time..Thanks for the great recommendation! YAY! 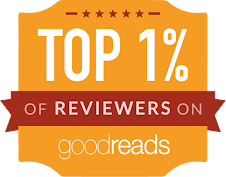 I am so glad that you enjoyed this book! I honestly wasn't sure what to expect, with all the hype, but I'd say the hype was worth it. I can't wait to read the next book (which I think is awesome, if it's Tella's). :D You're very welcome! Happy reading!